Good morning and a warm welcome to the second day of the UK Home Blog Hop organised by your very glamorous host Kimberly at Swoon Worthy to showcase a bunch of bloggers brimming with summer style inspiration over the course of a week, I can’t wait to see what they all have in store! If you’ve hopped along here from Sarah Akwisombe’s fabulous blog (one of my very favourites) can I take a quick second to introduce myself? I’m Ruth, a design blogger living in London with my husband Dan, toddler Ted & the star of the house, our cat Dinah. 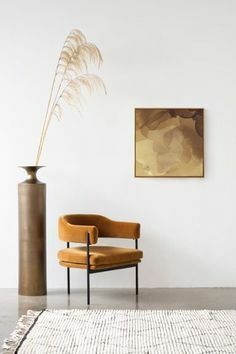 I write about interiors, especially my love of colour, pattern & patina, on the blog you will find room makeovers and d.i.y’s alongside my favourite pieces of design inspiration, styling and current crushes. We don’t take ourselves too seriously around here, inspiration is everywhere but we are all about design that doesn’t look controlled. As a few of you will be here today for the first time, I thought I’d take the opportunity to do a mini house tour with some of the summery updates I’ve made recently. If you like what you see, please take a look at the full house tour on this page. So the theme of this seasons blog hop is My Summer Style, and since winning the Pinterest Interiors Award for our living room earlier this month (I’ve finally stopped practicing Gwyneth Paltrow style acceptance speeches for the awards ceremony on Friday) I thought it was probably time to bestow some new season love on the area. We’re not going abroad for our summer holiday this year so instead I’m trying to bring some touchstones of summer into the home. 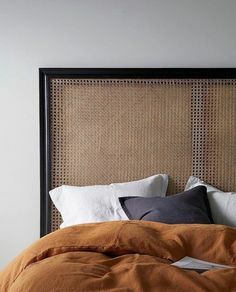 Everyone loves that barefoot-balmy-day-feeling of holidays and if you’re feeling a real design itch you couldn’t go far wrong introducing things like ombré or wicker, or even raffia for a stylish summer scheme. But actually my changes have been really simple this year, there are no game-changer design moments just a few really simple hints of the new season and I’m really happy with how they’ve turned out. Changing up your cosier winter fabrics for lighter ones in the summer really changes the atmosphere in the house. In summer I swap out the wools and dark velvets and go for linens, brighter colours, bolder patterns and much lighter blankets. Our living room has had the same Art Deco inspired black rug for over 5 years and is becoming a little boring (as well as having taken the brunt of a fair few cat and toddler traumas). So after much searching, Ive finally found a new rug which is much lighter and perfect for summer which I intend to use in Spring and Summer, swapping back to the old one during the darker Winter months. I chose this Scandi honeycomb design from Urbanara which I’m super pleased with. It really refreshes the space and makes for a lighter, brighter and fresher backdrop to everything else in the room. Nothing says summer as much as brighter almost-acid summer tones and vibrant patterns. Summer is the perfect time to add some punchy shots of colour. 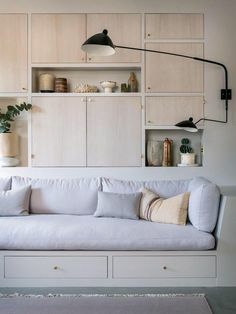 I’ve done this in the living room with my Greenhouse textile cushion (above) by Lizzie for Smug which has been brought downstairs from the study to add a pop of summery botanical graphics to the sofa. It’s a beautiful design and one that looks perfect anywhere, but I particularly like it amongst the plants and botanicals in here. Also this year, I’ve got a massive craving for coral accents, I blogged about this new colour trend back in January at Top Drawer and i’m totally sold, now frantically trying to source more of it on the high street, H&M had a fabulous cushion which sold out quicker than you could say ‘is it coral/peach/apricot or salmon’! There’s something of faded sunsets and tequila sunrises about this tone which brings me all the summer feels at this time of year, I’ve picked up a cute coral linen cushion below but hoping to get some more when the lower end of the high Street catches on to my desires, hint hint! Greenery is still lusciously everywhere in the interiors world, hooray to that. 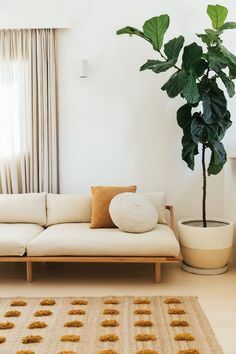 Last summer I jealously eyed a great many plant displays in people’s homes via Urban Jungle Bloggers and #JungslowStyle on Instagram, they felt so vibrant and fresh bringing interiors to life with hits of verdant greenery. They were also really in keeping with the look we already have in the living room which is natural history inspired. It’s taken me nearly a year to figure out which of all these beauties are safe to buy as a cat owner, but having finally managed to get a collection going and not having killed many of them, yet, (though this may just be a matter of time) I have decided to display them en masse, borrowing from other rooms, since they look so fabulous as a living display. They are alongside each other in the living room fireplace (which has the added benefit of distracting from the modern white fireplace I still dislike). Calatheas have been quite a revelation to me amongst my purchases, though they need a lot of watering, they add a perfect air of tropicality for Summer. Alongside actual fragrance (see last weeks post on how to make a room diffuser) I like to add natural, gentle reminders of the outdoors inside. Much less ostentatious than my Winter or Spring wreath, this little miniature wreath above, which I bought from Rose & Grey recently, is the perfect size for a small flourish in the corner of the room. I have lemon thyme on it, which is growing in our garden, as the single decoration and it gives off the most beautiful hint of summer citrus when the sun shines on its foliage and warms up its natural oils. I like to refresh styling around the house each season, it’s a great way of making your home feel new again. This can be as simple as putting redundant items back into cupboards or moving textiles from one room to another. In the bedroom we’ve moved out the heavy beaten up leather armchair (which is super inviting in winter) and brought in the more lightweight Eames style rocker chair to add a little lightness to the space. Call me overly-focused, contrived even, but I also like to change up the items I’ve styled on tables and surfaces. I like them to look casual, but I’m lying if I say that they have just been flung there! For summer I like simple displays and have put together a collection of design pieces that make me think of holidays. This season I’m loving the new Cereal front cover, I don’t usually throw ‘it’ magazines out for shortcuts to cool but when a front cover is this beautifully composed I’ll happily make an exception. I’m so in love with this pink Lene Bjerre plate on the table from Wayfair, it’s so delicate and pretty, and though it’s made for kitchen use it’s just the perfect item as a summer trinket collector. Summer is so much less formal than the other seasons, free time gets taken up with adventure and discovery outdoors, seeing friends during the longer evenings and of course drinking up sunshine and listening to the hissing of summer lawns. Nothing says Winter to me more clearly than either formality or clutter so late-Spring is the time I get on top of all the things hanging around unloved. The hibernation season seems to equate to hoarding, you start off with a cosy blanket, then a knitted cushion or two makes an appearance and alongside the candles, dried flowers and the odd Christmas decoration you can’t bear to part with on twelfth night, you’ll find you have a full and cosy interior to see you through the dark days. However none of this helps to create the backdrop of light freshness which makes an interiors scheme feel like Summer. The living room is probably the space in our house which is most brimming with accessories and interest. I really enjoy the visual pleasure this gives and find it uplifting to see layers of things I love during the colder months. But in the balmier months I like a clearer look that I can navigate quickly so I’ve made a big effort to edit out the clutter in both here and the bedroom which already relies on minimalism to sing. 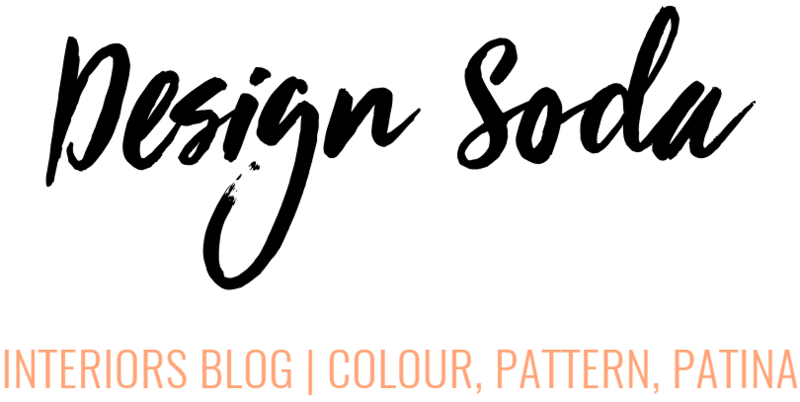 If you read my blog regularly, you will know that I am all about colour. 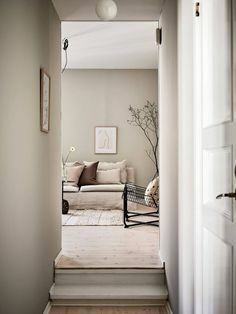 But that doesn’t always mean it has to be punchy and I was really pleased with my Scandinavian inspired bedroom refresh in the Spring which used muted natural tones against a deep black floor. For the summer I’ve changed up some of the accents in here. Textiles are my great love and the thing I always invest in as heirlooms, I’ve added some beautiful monochrome textile elements to the area above which I think provide a summery freshness to the space. The show stealer item is this stunning Peg Rose cushion from Sweetpea & Willow which is designed in collaboration between two of my favourite design houses, Eley Kishimoto and Kirkby Design, it’s not cheap, but it’s so special. I love the 3D effect of its print and the bold proportions of its design. Alongside my cushion I have a new Berber throw in monochrome cotton weave with knotted fringe from the people at Wayfair. It’s by Malagoon which is the brainchild of Anneke Bierma, a Netherlands based designer whose mission statement is to bring the holiday feeling to your home all year around, pretty perfect huh? And it’s a brilliant lightweight summer accessory. I find that I still need something to provide warmth on the chillier evenings so switching up to a lighter blanket is perfect at this time of year and it looks great draped pretty well anywhere but especially in our monochrome bedroom and out in the garden below. This one is a little counter-intuitive but I love candles in the Summer. 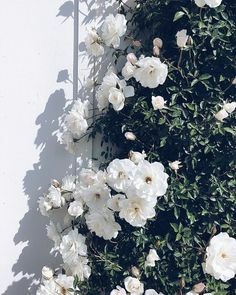 Not fragranced ones, I find those too heavy, but a little candle light in a shaded room with crisp white accessories always brings a moment of summertime quiet and beauty for me. And I love these metallic dipped candles I was sent by Bolsius for a slightly glamorous flourish, they feel pretty celebratory in my pared back Scandinavian bedroom, don’t you think? Saving the most obvious until nearly last! And it kind of overlaps with both the last point and the first one (petition me later!) but I see this in a slightly different category, this is scent and nature but it’s also taking advantage of natures greatest beauty show – Summertime. I love having flowers throughout the house in summer, particularly ones picked from my own garden. They add colour and cheer to the house. I was a little obsessed with the perfect way to display flowers last year but this year I’m being more casual. Ammi Majus is still a favourite, but for both fragrance and delicacy my passion this year is for Apricot coloured Stocks (back to that coral crush again), which I’ve failed to grow myself but I’ve bought some (above) and they are bringing me such joy especially next to the cactus vase from Primark that I’ve re-painted in a punchy neon green. Exterior is the New Interior! And finally, an outdoor space that you want to spend time in! This is an ongoing project for us, a little over 18 months ago we inherited a completely barren space complete with asbestos shed bang in the middle and not much else. After shed removal, fence painting, border building, buried air raid shelter discoveries, much levelling and soil removal, we are on our way to having a garden that’s both pretty and functional. I’m not ready for a full reveal yet but above and below are some areas of our garden styling which I’ll be posting in a couple of weeks time. I flit around between trends quite a bit in the garden from Miami to Sissinghurst in inspiration (yes, I know, pretty dissimilar!). I have been slightly scared to commit to one, but as with the interior of the Design Soda house, there’s lots of flashes of colour in our garden. From plants, to the leftover bathroom tiles on planters to the furniture painted in Annie Sloan’s ever versatile chalk paint and the stone blue wall, there are punches of colour all over the garden which really lift the feel of it. Despite the awful state of our lawn I really like being out relaxing on it, above you see a perfect scene for me complete with a bowl of strawberries and that Malagoon throw again. Also, what do you think of the textile on the ground? Its by Palm & Peach, it was given to me by Amara and it’s such a perfect summertime pattern. Next up on the hop is the very lovely Scottish blogger Fiona of Around the Houses who I spent a fabulous weekend with on a bloggers trip in March, do hop over to see her budget friendly outdoor tips, I’m all ears for them. Next week I’ll be continuing the summer theme with my Summer Table Setting so don’t forget to drop back if you’re still feeling all the summer vibes (seriously, I have no idea how we skipped Spring and went straight to Summer, but no complaints here, such a tonic). I leave you with images of my two favourite photo-bombers whilst shooting this piece. Many thanks to companies who have gifted items used in this post and include; Wayfair, Sweetpea & Willow, Amara, Annie Sloan & Bolsius. I can’t believe you have a toddler in the house, everything looks so calm and serene! Haha. 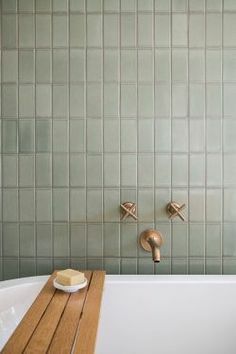 Beautiful styling and photography and lovely use of understated colour. Haha, thank you so much. I have to admit I somewhat smugly thought I was bringing up our child like the Danes apparently do to respect our home (with anarchy zones for trashing) but in the last 10 days my little person has suddenly become an interiors menace! I’m hoping it’s a short phase ? You have a super calming space, its inspiring! i am enamoured with your lemon thyme wreath what a super idea for bringing natural scent into your home. Your home is beautiful – I love all the details. 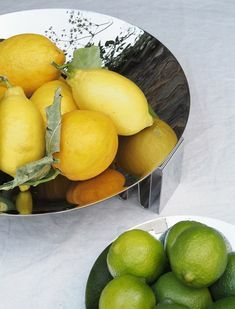 Great tips and I noticed you have my dream West Elm bedside tables – gorgeous! I can’t get over the framed butterfly display and the convex mirror above the fireplace. By the way, congratulations on your Pinterest interior award! I love the simplicity and calm feeling these changes bring. I also love your photography! A lovely post, thank you sharing! I love the feel of both your spaces here- bravo! 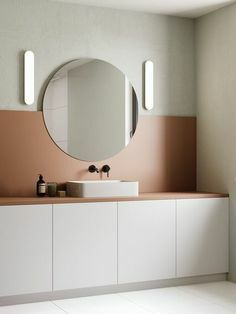 Such a pretty design, I love everything you have included. I like that you have used soft flowers inside and outside to add warmth and colour. I was nodding my way through the whole post! I too, have a big declutter just before summer, it jst feels like the space needs it. Love both spaces, just gorgeous. what paint color is the living room?! i love it.